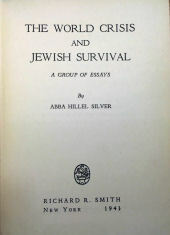 Even if Rabbi Abba Hillel Silver had not led The Temple for 46 years, or led the fight for public and government support for the establishment of the State of Israel, or been a civic activist, his writings would place him as Cleveland's most published and best known Jewish author. 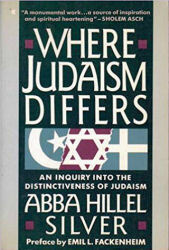 If time permits reading only one book by Abba Hillel Silver, my suggestion is "Where Judaism Differs". 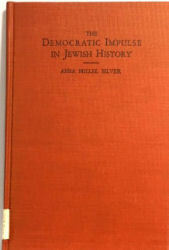 The nucleus of this book is Silver's doctorate thesis at Hebrew Union College. It begins before the birth of Jesus and continues through the Shabbatai Zevi movement in the 17th century. 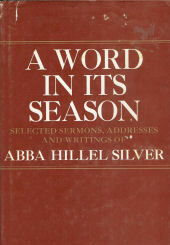 The cover shown is that of the 1978 republished edition. 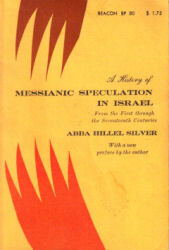 Two short essays on Israel's mission, a total of only 43 pages, published in 1928. 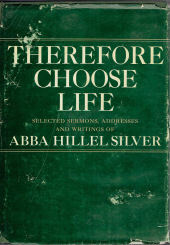 This book's origin may have been in a series of six Sunday morning lectures Rabbi Silver gave starting in February 1952 titled Where Judaism Differs. 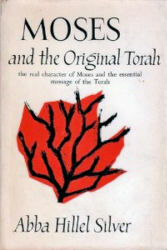 His publishers at Macmillan insisted that the title be in the past tense: Where Judaism Differed. 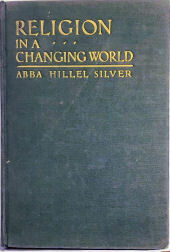 A later edition, with a foreword by his son Rabbi Daniel Jeremy Silver and a preface by Emil Fackenheim, a German-born Jewish philosopher and Reform rabbi, was titled Where Judaism Differs. The books are otherwise identical. Reviewers have noted that the book is careful not to assert superiority or uniqueness. Young Abe Silver was in a pageant produced by the Herzl Zion Club he helped found. He played Moses. Moses was also the subject of this, his last book. Searches found no mention of this book in Cleveland's Jewish weeklies, and no review in the Plain Dealer. 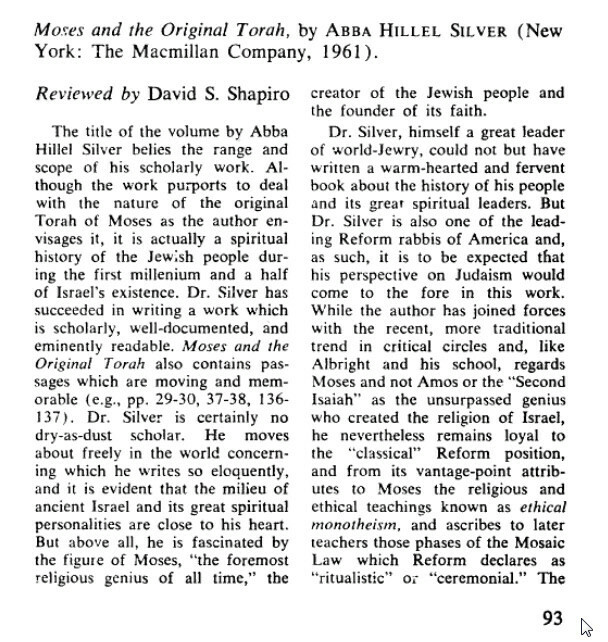 Fortunately the online archive JSTOR has an eight page review published in the Fall of 1963 by another rabbi-scholar, David S. Shapiro, of Milwaukee's Orthodox Anshe Sfard, in Tradition: A Journal of Orthodox Jewish Thought. We show the first page below. How Shall We Measure Life? Speeches are by Abba Hillel Silver. were connected by their Zionism and friendship with Abba Hillel Silver (1893 - 1963). Harold P Manson (1918-1984), who wrote the historical notes that are an important part of Vision and Victory, was director of information for the American Zionist Emergency Council from 1944 to 1948. He married Emanuel Neumann's daughter Natanya in 1957. Sulamith Schwartz (1908-2002), who assisted, was a granddaughter of Rev. Tzvi Hirsch Masliansky (1856-1943), our nation's greatest Yiddish preacher and an early Zionist leader. Our Masliansky pages describe how he was Silver's boyhood mentor and oratorical inspiration. 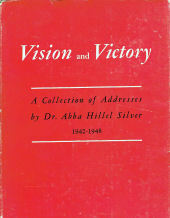 Organized and published in the nine years following his death in November 1963, these two volumes are the largest collection of Rabbi Silver's sermons, speeches and writings. The Temple - Tifereth Israel in Beachwood Ohio has a collection of his sermons.